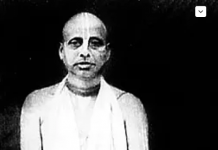 The following article, about the departure Srila Bhakti Vrajendranandanandana Swami Maharaja, founder of Iskcon temple Malaysia, was originally published on dandavats.com. Dear Devotees Please accept my humble obeisances. All glories to Srila Prabhupada. It is with a sad heart to inform the family of devotees that we have lost the association of a great general in our sankirtan army. At 3.40 am on the 30th of December HH Bhaktivrajendranandana Maharaja left his body and returned to the spiritual realm. 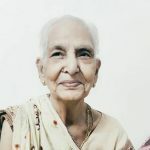 Lying in his bed in the Kuala Lumpur temple surrounded by devotees chanting the holy names His Holiness breathed his last. 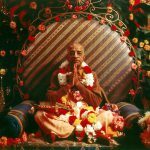 Although maybe not so known to the greater ISKCON he is very well known for his wonderful devotional qualities wherever he went. 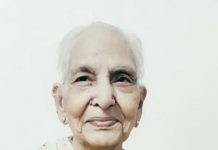 HH Bhaktivrajendranandana Maharaja was born in Malaysia. He came to the UK to study where he joined ISKCON devotees in 1971 in Birmingham. He was around 33 years old at the time of joining. 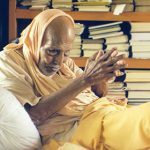 Subhag, now swami, was his inspiration at that time and remained so throughout his life. He then moved to Bury Place temple in early 1972. He served selflessly there for several years. He was known as the simple hard working, surrendered brahmacari who would never miss anything. He received initiation in July 1972 from Srila Prabhupada on Trafalgar Square, receiving the name Vrajendra Kumar. For years he travelled throughout the UK distributing books until his move to India in 1975. There he took up the responsibility of temple commander in Vrndavana. 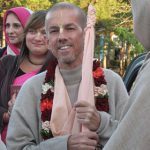 He would occasionally return to Europe for sankirtan and raising funds for India. 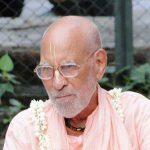 In 1979 along with two other devotees he returned to his home country and they established the Iskcon temple Malaysia yatra on firm grounds. 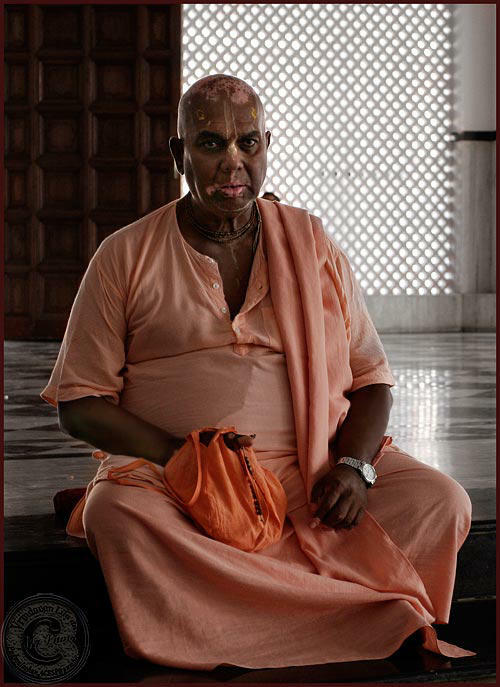 In 1983 he accepted sannyasa from HH Jayapataka Swami. From then on he continued to serve in Malaysia preaching extensively. He would regularly visit India traveling and preaching and other neighbouring countries. In the late 1990’s his health deteriorated developing serious heart problems. The doctors gave him 6 months to live. For some time he went to India and miraculously gained strength. 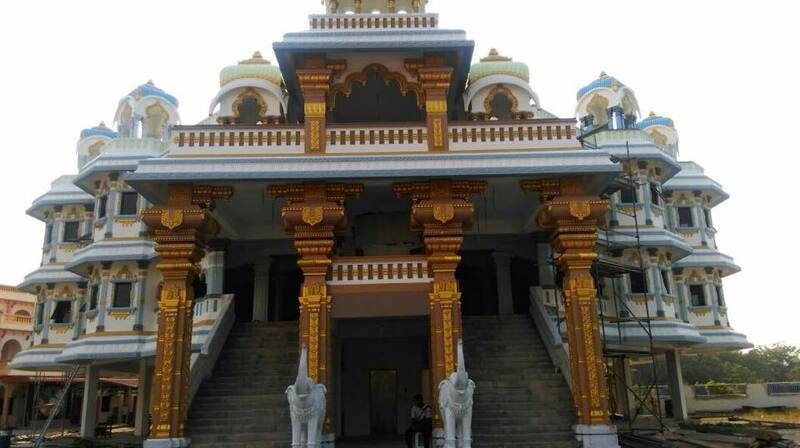 Back and forth to Iskcon temple Malaysia he reassumed his preaching and traveling. Around 2011 again his health dipped and he became hospitalized for some time with a failing liver. He pushed on enthusiastically serving in whatever way he could. He faced regular health crises and several time survived against all odds. Over the past few months his kidneys failed and he has had to undergo dialysis. Around 3 weeks past he went into a coma and although coming back to consciousness his health was ailing to the point the doctors made it clear there was nothing more they could do. In discussion with the devotees – many of whom are themselves doctors – decided to take Maharaja back to the temple where he remained for 12 hours till his glorious departure. He returned to his eternal position at Srila Prabhupada’s lotus feet. All devotees who knew him will attest to the fact that he was truly a great vaisnava free from the malice, envy, lust and greed. 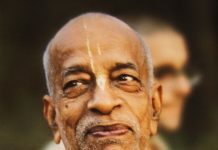 A cent per cent sold out soldier in Srila Prabhupada’s great sankirtan army. We have lost the association of a wonderful soul but his example will stand as a beacon for many to come. Next articleCan Humans Achieve Immortality?